Raptors are one of the most sensitive indicators of ecosystem health. They are the first to decline or be lost from our skies when something is amiss lower down in the food chain. Today Habitat INFO launches a unique free mobile application, ‘African Raptor Observations’, which will enable enthusiasts and novices alike to submit their records of these vital species from across Africa. This will transform the way citizen scientists record raptor sightings and provide an invaluable and accurate database for scientists and others professionally involved in raptor and habitat conservation. Data may now be collected in the field using Android devices without the need for a cellular network or source of Wi-Fi. When a connection becomes available, the observations can be uploaded to a live data observatory housed on a server situated in a high tech barn on the coast of Pembrokeshire, West Wales. From here the data will be analysed to model the abundance of each species and to help identify and monitor the health of their habitats across one of the most biologically rich yet vulnerable continents on Earth. Large raptors, notably vultures are showing catastrophic declines in parts of Africa. Decreases of up to 97% for some species have been indicated in West Africa in just over three decades. Declines of 50-60% are indicated for the savanna regions of East and Southern Africa. There is a desperate need to get good baseline information on raptor populations in all regions, to monitor these populations closely, and to understand the causes of declines so these may be addressed, quickly. There is a long history of ornithological observation of birds of prey (raptors) in Africa which has followed the traditional methods of field notebooks, with the information either painstakingly transferred to computer later or sometimes forgotten altogether. 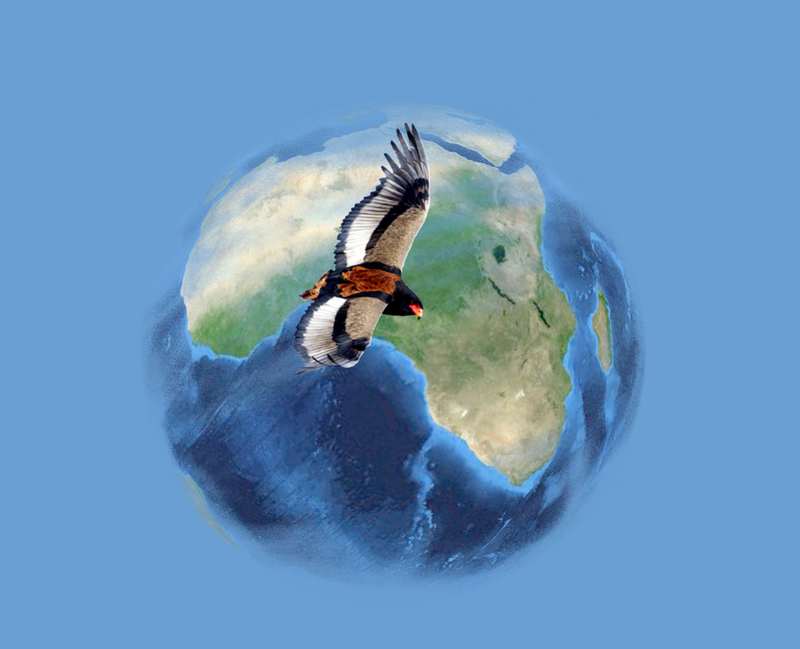 Habitat INFO has teamed up with The Peregrine Fund, Kurt Eckerstrom, the Convention on Migratory Species, Memorandum of Understanding on the Conservation of Migratory Bird of Prey in Africa and Eurasia (Raptors MOU) and ESRI software providers to offer new opportunities for our methods of observation. Armed with the new ‘African Raptor Observations’ app, birdwatchers, naturalists and members of the public are being encouraged to record sightings of raptors anywhere on the continent using their personal phones. The app has been designed to use the GPS and other advances in phone technologies to obtain precise locations of these sightings and also the mortalities of raptors, even when out of cellular network range. A crucial advance is the ability of this app to log the efforts of the observers. A common problem with the majority of biological records is that they often reflect the movements of the observers more than the locations of the target species. However, by recording where the observer has been as well as what they’ve seen it’s possible to assess observer effort and to calculate observations per kilometre or hour. This means we will be able to compare what is happening to these birds and their environments across regions and through time. Of equal importance is the design of the App to accommodate information on the causes of raptor mortalities and to convey this information quickly to the live data observatory. Much of the information required for a robust biological record: who recorded it, when and where, is handled automatically by the device leaving the observer to focus solely on what they have seen or witnessed. Raptors can be a challenge to identify, and a challenge that birdwatchers seem to relish. Novices can assign confidence to their identifications and photos can be uploaded to enlist help from experts. There are future plans to couple the recording app with an e-guide to African raptors. The application is designed to make recording as simple and intuitive as possible. Extensive testing has been carried out and the development process has been dynamic and iterative, with a strong focus on the small details which can often be overlooked. Voice recording permits the user to enter detailed information when there is a lot going on and when it is impractical to type. These additional dimensions, and the fact that it is available completely free, really set ‘African Raptor Observations’ apart from other mobile applications and will make it the default application for recording raptors across Africa. The App is downloadable now, free, from the Google Play store. This project has been designed to empower globally-concerned citizens, both residents and visitors, to play an active role in monitoring the state of the environment in Africa.